To celebrate Mrs. Fleming's centenary, TASIS published a collection of quotations from Mrs. Fleming's speeches, yearbook messages, private notes, and conversations. 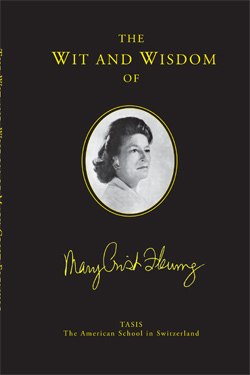 Edited by Lyle Rigg, this memorial book is full of charming, witty, pithy life lessons from Mrs. Fleming. We all have dreams, but only those with true vision persevere through challenges, learn from mishaps, and look back with humor and dignity. 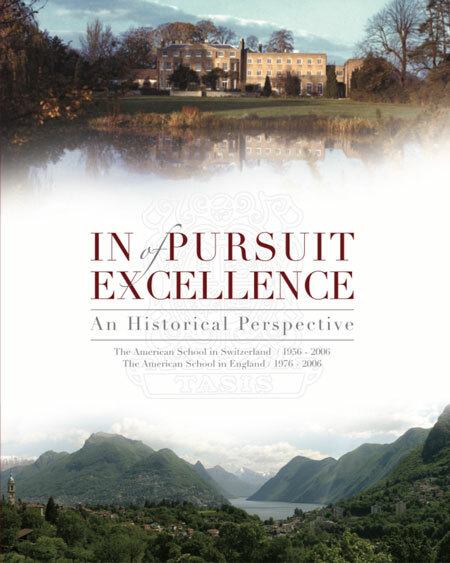 In Pursuit of Excellence was created to commemorate 50 years of TASIS Switzerland and 30 years of TASIS England. Written by students, teachers, and Mrs. Fleming, this beautiful and fascinating large-format book (330 pages) gives a visual and written history of TASIS from those who have lived it, in pursuit of excellence. This collection of stories and memories celebrates nine decades of Mrs. Fleming’s fascinating life. 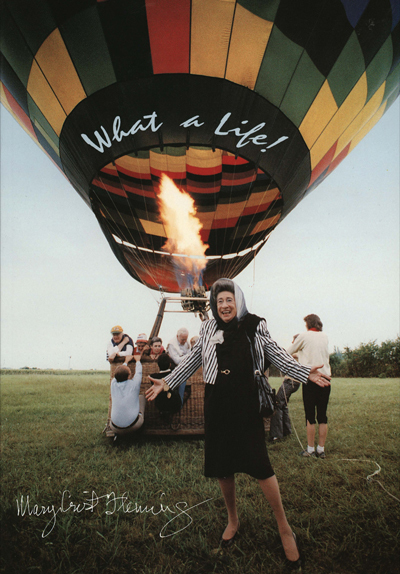 Told in her own words and the words of those closest to her, this delightful book sheds light on Mrs. Fleming’s life story and is an inspiring keepsake to remind us of her spirit and joy. For just CHF 30 ($30 for US residents), you can have a stroll down memory lane every day of this special anniversary year. Thank you Dan Higgins '74 for a remarkable job planning and producing this special calendar!